Welcome home to this beautiful 3 bedroom, 2 bath family home nestled on a large corner lot in a quiet cul-de-sac. This cozy home has high vaulted ceilings and an open floor plan that make it feel even roomier and bright. The chic styled open kitchen features a stainless steel refrigerator and dishwasher in addition to the existing stove and overhead microwave, beautiful backsplash, and space for a separate dinette. The oversized living and dining room combo are perfect for entertaining or a weekend movie with the whole family. There are shiny laminate wood floors throughout the house including the master. The spacious master suite has a bright windowed alcove and walk-in closet. The other two bedrooms are also spacious and feature pristine carpeting that is ideal for the little ones. Through the sliding glass doors is a large screened-in patio with plenty of space for furniture and entertaining. The home has been meticulously-kept with a weekly house-cleaning service and is freshly pressure washed. The well maintained mature landscaping includes gorgeous rose bushes along the front walkway. The home has a beautiful, oversized, fenced backyard that features a paved deck ideal for grilling out with the family as well as a large and fun play area. 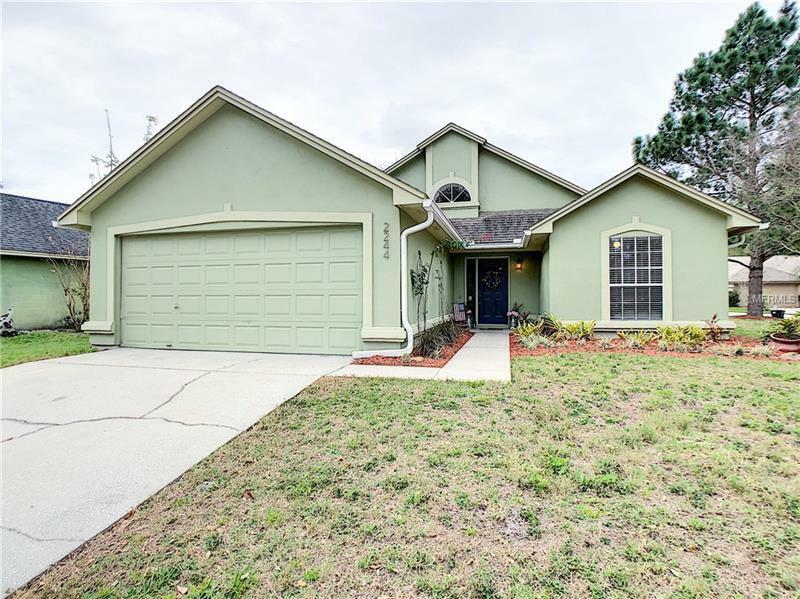 Located in a great community just minutes to Greenwood Lakes Middle, Lake Mary High School, YMCA, library, and large community park. Easy access to walking/biking trails, shopping, restaurants, and I-4 for easy commuting to downtown Orlando or the coast.